So… where have I been? Well life has changed a bit as it always does. My Dad passed away in June. He had been battling various health problems and fell and broke his hip. I think it just all got to be too much. I know he is much more “himself” where he is now. I took some time to re-group and to help my Mom. And to putter with some other projects. I wanted to wait long enough to get excited about designing again. And I did! I decided to start adding new products to my store at the Digichick this coming weekend (since its Digital Scrapbook Weekend, it seemed like a good time). In the meantime I thought I’d tackle another thing that was on my list. When I redid my website, the links to the freebies in the old store were broken. So I thought I’d start bringing them back through direct links in the blog – instead of linking them through the store at all. That might make it easier to keep them active. So, here are a few Fall themed ones. These have all been posted in the past either in the old store or on Facebook. So you might want to check if you have them already in your stash before you bother downloading. But if you can use them, just click on the picture to download. Coneflower digital stamp set from 2010. Its made from a pen and ink I did of flowers from my garden. The vase was reproduction green glass from Jamestown. And a fall still life digital stamp from 2009. This is the first digital stamp I ever made.. I hope you find these useful. If you would like to share them, please just send along a link to this post so others can download them here rather than sharing the actual files. I have some others (winter and Christmas) around here somewhere. If this has been helpful, let me know and I’ll go hunt them down. 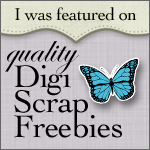 This entry was posted in Digital Stamps, Freebies and tagged Digital Stamps on October 26, 2014 by Cathy.